Welcome to the resource center for the AD9739A FMC Card! 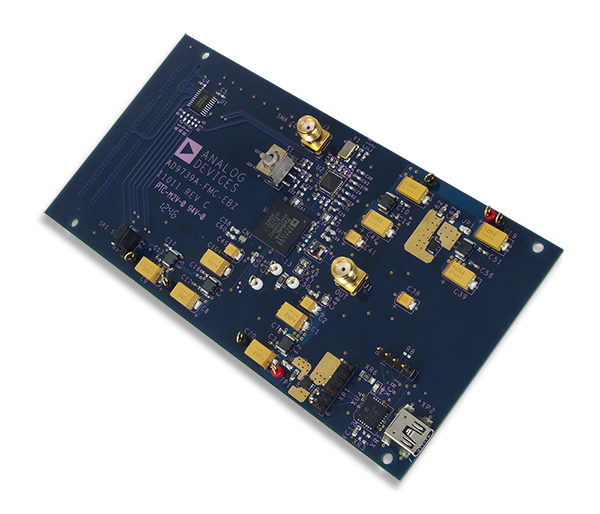 The new AD9739A FMC card allows cable head-end equipment manufacturers and others to rapidly prototype and verify system developments using Xilinx FPGA development boards equipped with an FMC header. This card can help engineers de-risk the development cycle and accelerate time-to-market by providing production ready reference HDL code and software for use in end products. Using the AD9739 allows synthesis of the entire cable spectrum into a single RF port and increases the number of QAM channels per D/A converter by up to 20 times to meet cable infrastructure demands while significantly lowering power consumption and system cost.